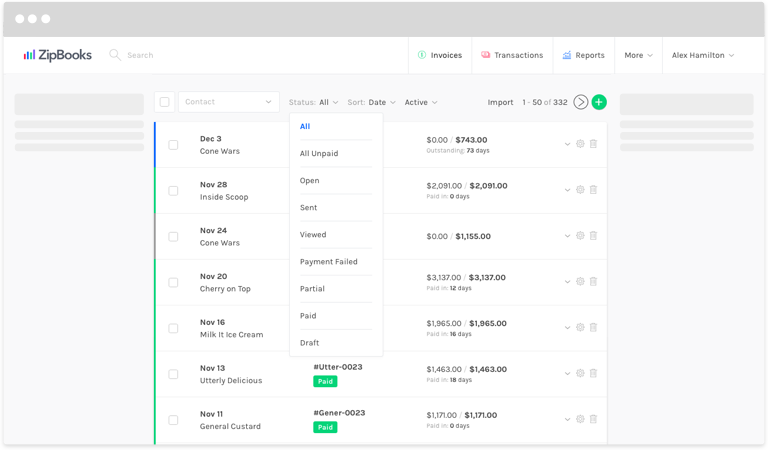 If you’ve been in business for some time, it’s possible that the number of invoices or estimates you’ve created is pretty big. ZipBooks makes it easy to narrow your search, so you can find exactly what you’re looking for. Log in to ZipBooks and click on Invoices at the top of your screen (click on Estimates in the box on the left if you’re looking for an estimate, and continue with the steps below). In the Contact field above the list of invoices, fill in the name of the contact (customer or vendor) you’re looking for. Or choose from the dropdown list that appears. To return to your complete list, delete the contents of the Contact field. Click on the upside down arrow next to the word Status above your invoices. 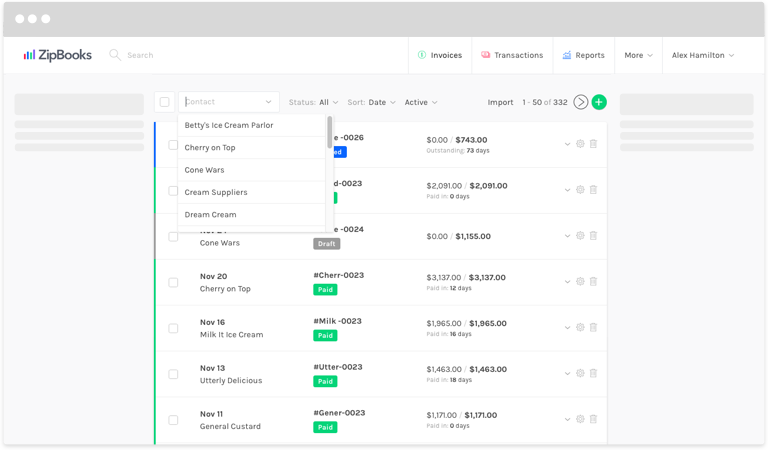 Choose the status of the invoices you want to see (All, Draft, Sent, Viewed, or Accepted). To get back to the complete list, click on Status again and choose All.